Lazy weekend mornings are meant for delicious brunches. 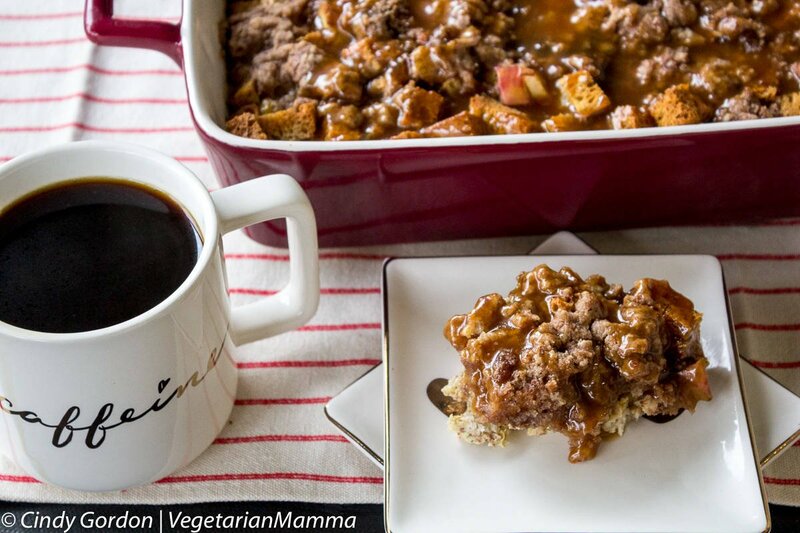 Try a delicious caramel apple French toast casserole this weekend! 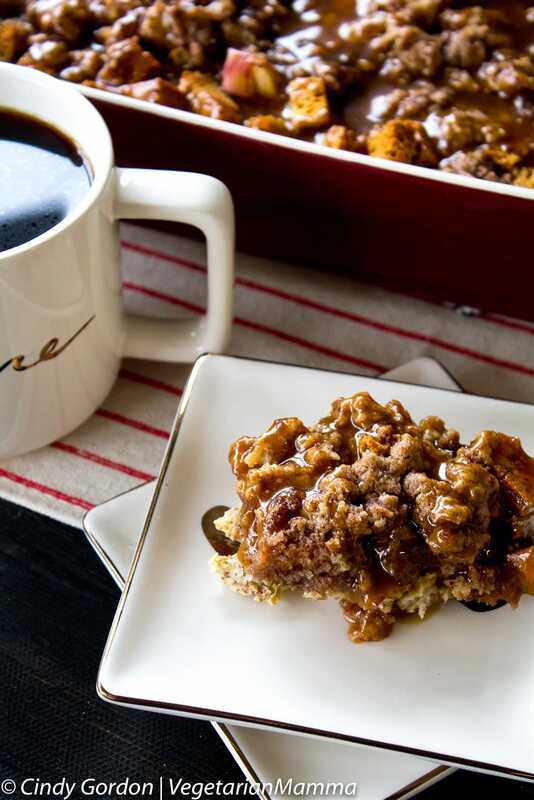 Show your family how much you care by making this delicious gluten-free caramel apple French toast casserole. It is perfect for any time of the day. 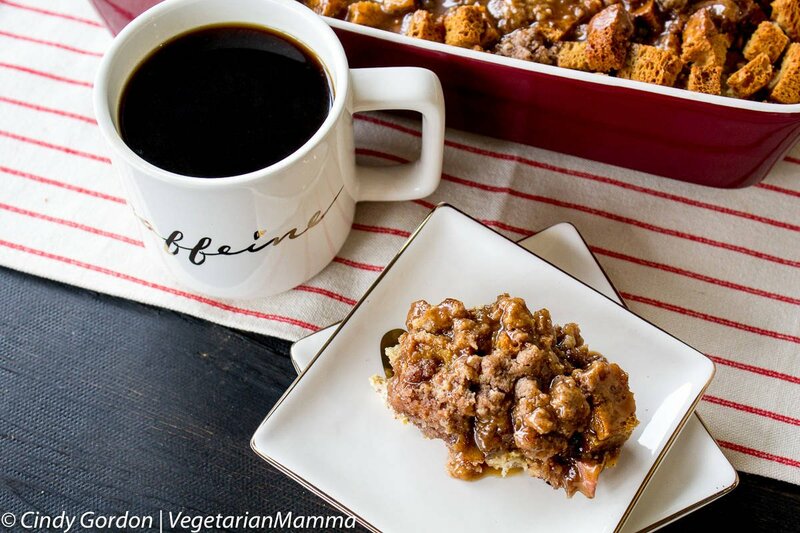 Whether you are brunching, having a sweet treat with your afternoon coffee or having a late night dessert after the kids go to bed, this recipe will make your taste buds dance with joy! 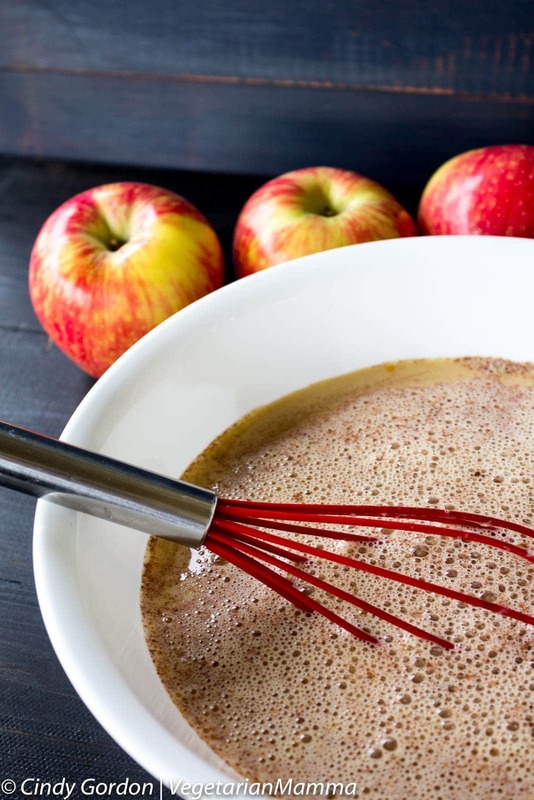 This delightful recipe starts with juicy fresh apples. We chose the Honey Crisp variety for our recipe. Mott’s® Fresh offers many varieties of fresh produce at your local grocery, including Braeburn, Cameo, Cripps Pink, Fuji, Gala, Golden Delicious, Red Delicious, Granny Smith and Honey Crisp apples. 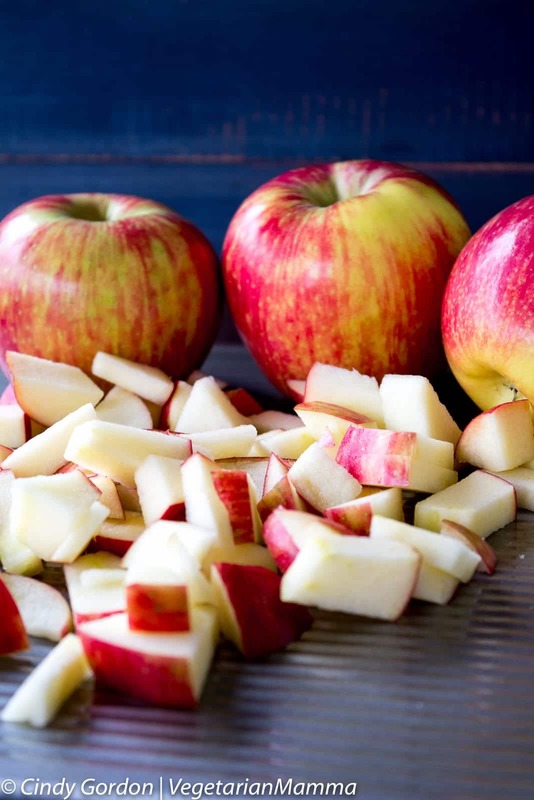 Choose apples that are clear free of bruises or blemishes. Refrigerate your apples to make them last longer. Apples tend to absorb flavors from other foods, so be sure to keep them away from onions and garlic. Always wash your apples before consuming. As with all our recipes, this one is gluten-free. We used 8 cups of diced up gluten-free bread. We crisped them up in the oven for 12 minutes at 350 degrees F. This will give your casserole a more crunchy texture. If you do not like crunch, you can skip this step. 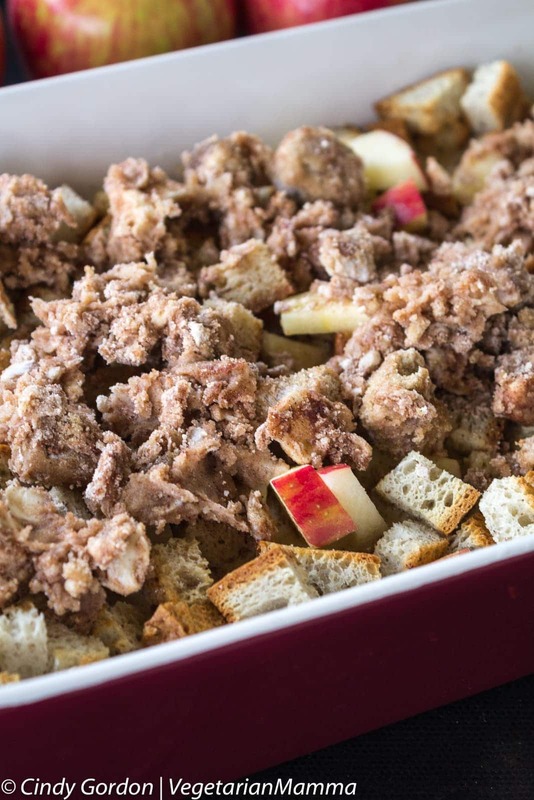 Once the breadcrumbs are crisped, toss them with the diced Mott’s Fresh apples and place into an oiled 9X13 pan. Next, up is the egg mixture. Here I mixed 8 eggs, with milk and some spice. The scent of this mixture was amazing! I love adding spices into my recipes to uplift the flavor. Pour the egg mixture over the top of the crisped bread crumbs and diced apples! You are almost ready to bake the casserole, but first we need to make the topping! Again, simple ingredients coming together for a powerful flavor! 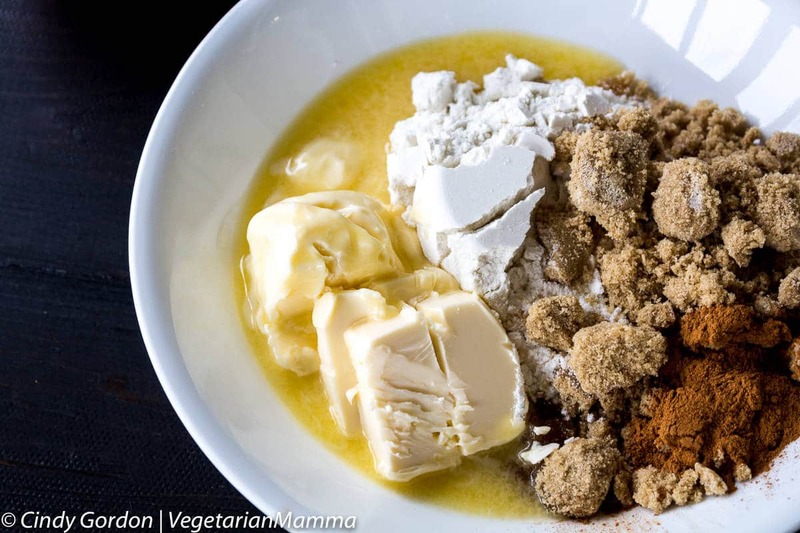 We used butter, gluten-free flour, brown sugar and spices to make our topping! Gently, distribute the crumble on top of the casserole. And guess what? It is time to bake! Place your casserole in the oven and get ready to inhale those delicious smells that will be coming from the oven! 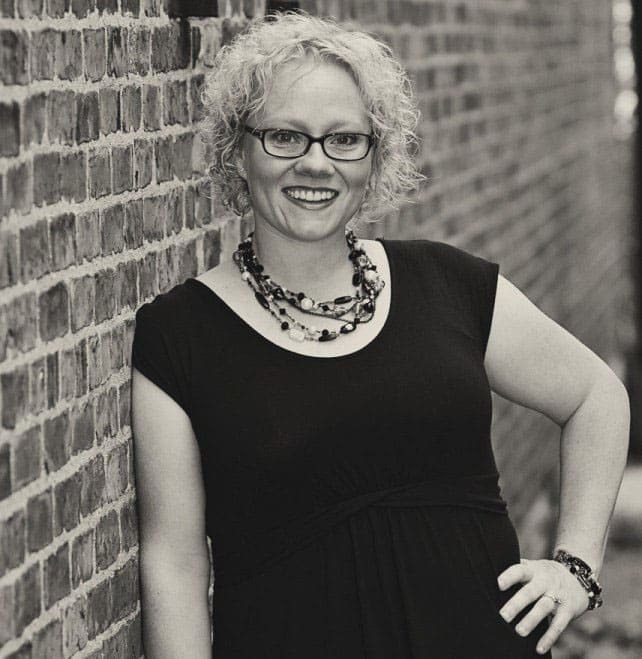 As the casserole is baking, let me tell you about a giveaway that is going on with Mott’s Fresh! We always love to celebrate our sweetheart, but February is traditionally a great month to do this. 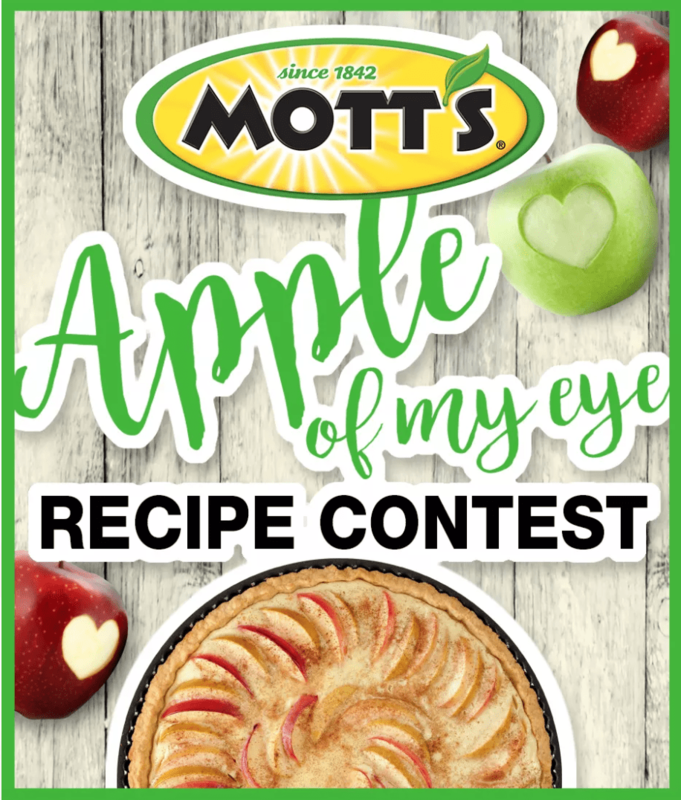 Starting on February 1st through February 22nd you can submit a recipe and photo of this or any other favorite apple dessert for your chance to win a $100 Shutterfly gift card. The winner’s recipe will be featured on the Mott’s Fresh website in March! To find more information or to enter the giveaway, visit here. Casserole is done! Now it is time for the caramel. I heated my jarred caramel up so it would drizzle better. Once I heated the caramel, I drizzled it over the top of my casserole! The result = delicious and gooey! Let’s get more specific! 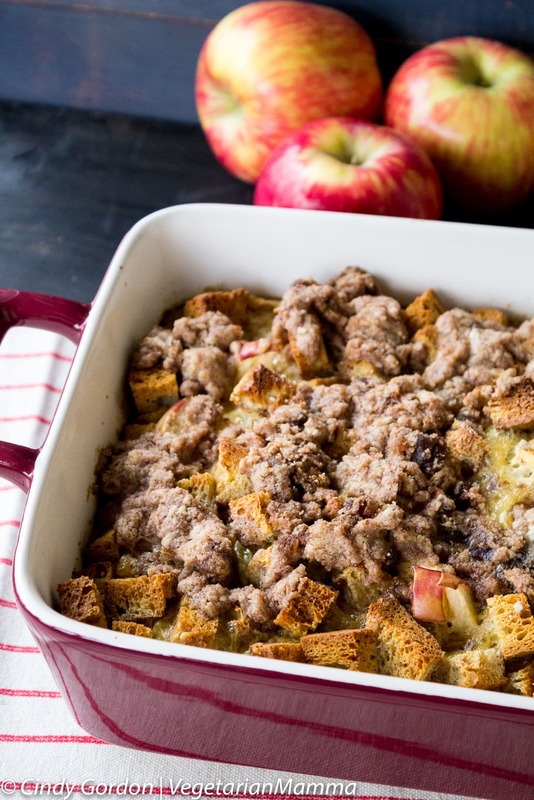 Check out this easy Caramel Apple French Toast Casserole! It is delicious! 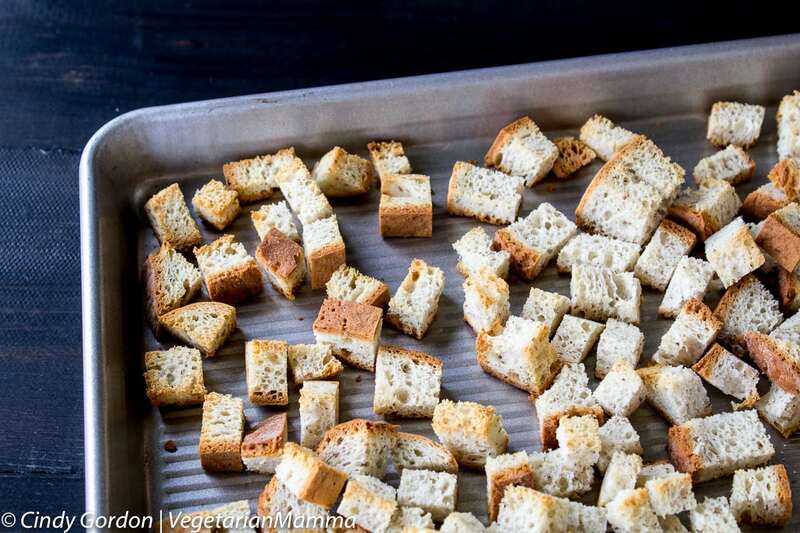 Preheat the oven to 350 degrees F. Bake diced gluten-free bread cubes for 12 minutes. Place your bread cubes into an oiled 9X13 baking dish. Dice apples but keep peels on. Be sure to deseed. 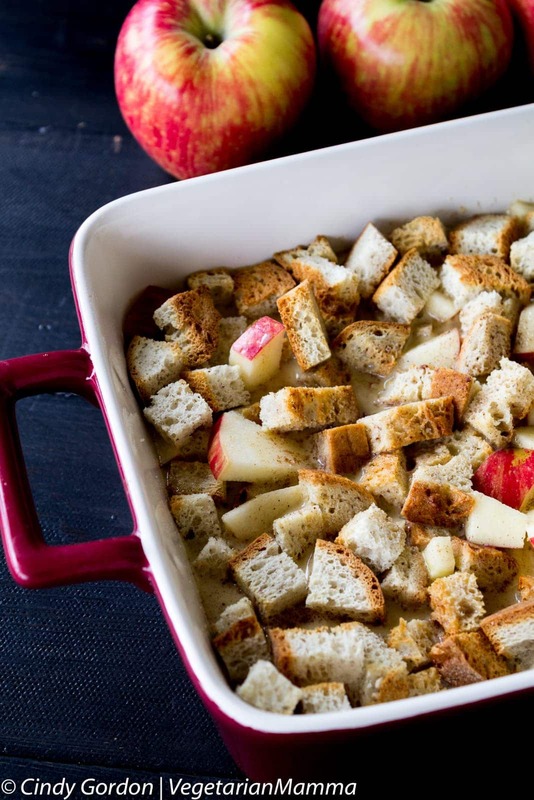 Mix apples with bread crumbs. In a medium bowl, whisk 8 eggs, pumpkin pie spice and milk. Whisk until smooth and pour over bread crumbs and apple mixture. With a fork combine flour, sugar, cinnamon and butter. Mash with a fork to create a crumble style topping and place on bread/apple mixture. Bake casserole for 55 minutes in a 350 degree F oven. 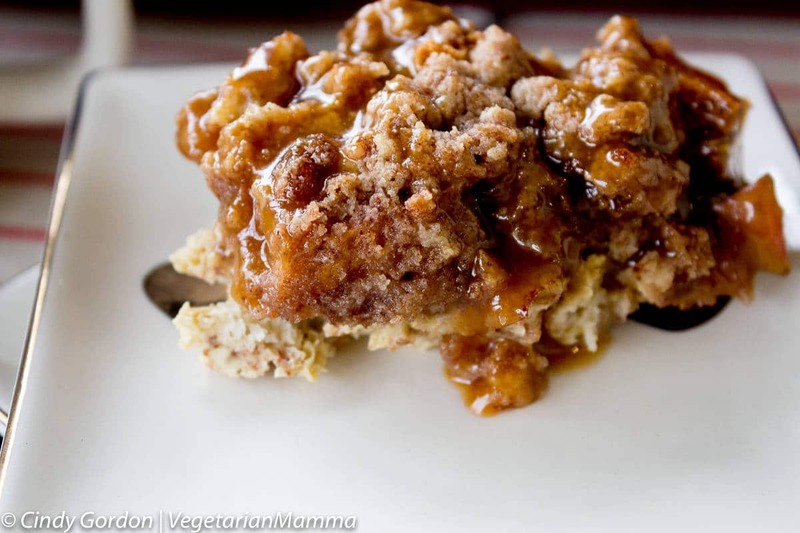 Remove from oven, pour jar of caramel on top of casserole and ENJOY! Let’s talk! Leave me a comment telling me your favorite apple dish to make for your sweetheart! Leave a comment below! Thank you to Mott’s Fresh for sponsoring this post. Good luck with the giveaway! 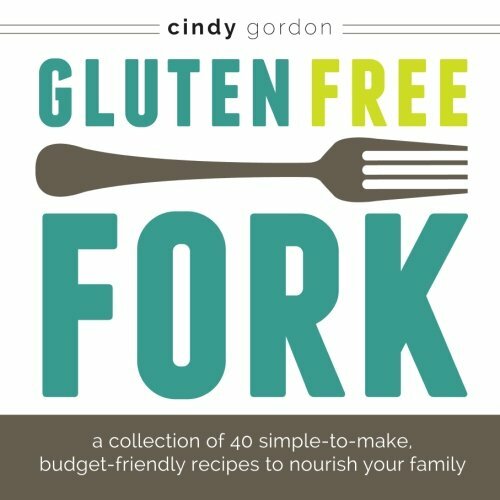 Hungry for more gluten-free recipes? Be sure to check out our recipe index. 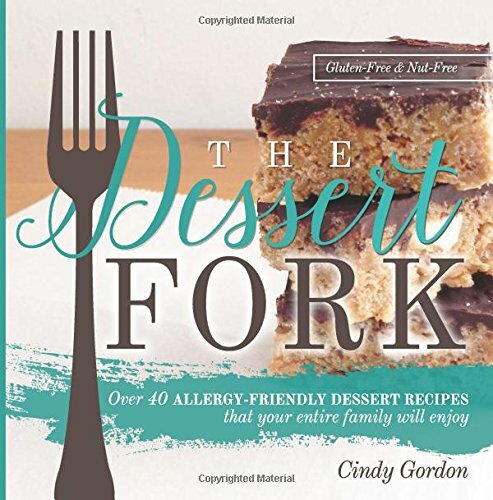 You can also visit our Amazon store to see our favorite gluten-free products and kitchen equipment! 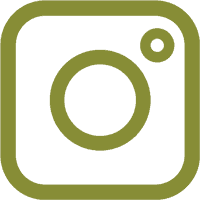 This post contains an Amazon affiliate link. Thanks Jane, this is one delicious dish! Thanks for pinning! Why wait? Mott’s Fresh has many varieties of apples available all year round. Gosh this does look good, I love the combination of apple and caramel (who doesn’t) and this casserole looks like a great way to enjoy them. I agree Kavey, such a fun combo of flavors! OH MY GOODNESS! This looks so incredible. 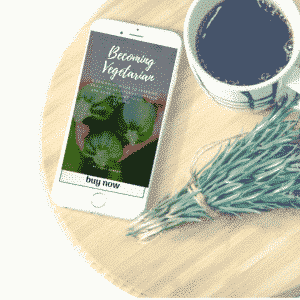 Pinning now to make for my next brunch!!! I have never thought of caramel and apple in french toast and I think it is brilliant! Thank you so much for pinning Katie! I appreciate it! Basically, you had me at caramel. But then you added in french toast and casserole. I’m 100% sold! So yum! Your french toast looks good enough to be a dessert! Lovely. Thank you so much! We enjoy it all the time! 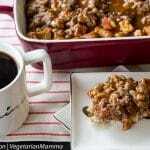 This casserole looks so yummy! Has all the food items I love! Especially the apples and caramel! I can’t wait to make this at my next brunch! Thanks Elaine, this is one of our favorites!